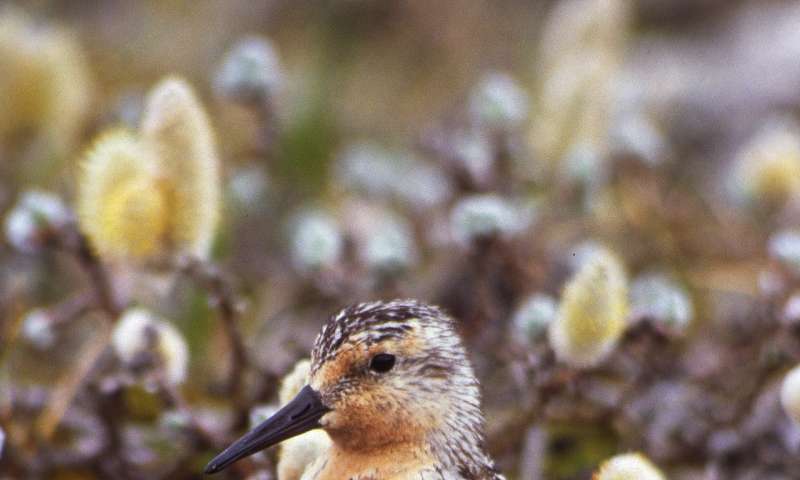 The study shows that there are more than 74,000 square kilometers of suitable rufa Red Knot habitat across their Central Arctic breeding range—enough space for at least that many breeding pairs, assuming one square kilometer of territory per nest. Since the entire population currently numbers only around 42,000 individuals, it's unlikely that a lack of available breeding habitat is contributing to the species' decline; knots' problems must lie elsewhere. However, suitable breeding conditions for a number of Arctic shorebirds, including knots, are predicted to shift and decline in coming decades due to climate change. An understanding of species-habitat relationships will be crucial for present and future conservation efforts.